Unitor Gamazyme? DPC is a concentrated biologically active powder formulation containing a blend of patented bacterial strains, specifically developed to deal with sewage wastes. It is packed as water soluble sachets (Solupac). 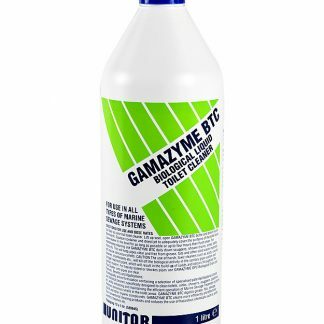 Unitor Gamazyme DPC is formulated to degrade excess residual organic waste products causing blockage, or slow draining in sinks, showers, scuppers, drains, etc. 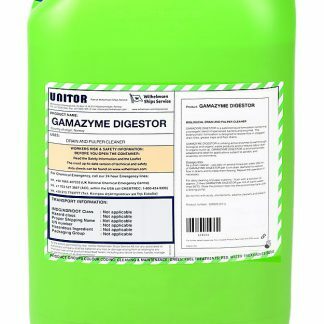 The specialised bacterial strains and enzymes in Unitor Gamazyme DPC will digest grease, fats, starch and other organic compounds. The bacteria in Unitor Gamazyme DPC will colonise the waste soil, which lines the pipe work system, and degrade the waste all the way down to carbon dioxide and water, until the system is clean. 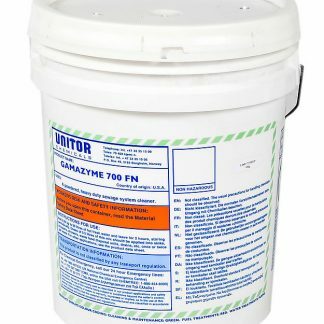 On draining to the holding tank or sewage treatment plant, Unitor Gamazyme DPC will greatly enhance the biological activity breaking down solids and removing obnoxious odours which can vent back through the systems. 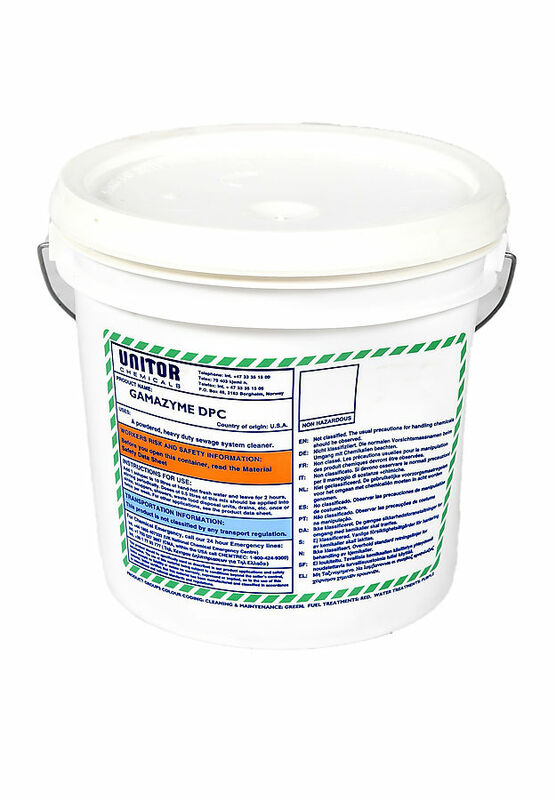 Features include, Powder biological formulation for easy use, Biodegradable, Overcomes potential safety problems associated with the use of toxic cleaning chemicals. Benefits are, Clears pipes and systems blocked by organic waste residuals, Eliminates obnoxious odours from soiled pipe lines, Cleans fouled pipes and systems, particularly long horizontal runs, Keeps holding tank organic waste liquid pumpable and odour free, Cost effective, saves the time, money and manpower of plumbing operations to clear blocked pipe work.